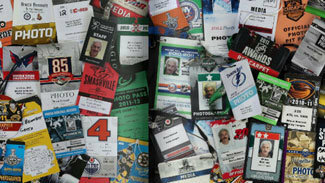 The storylines heading into the 2012-13 NHL season have been brewing for months. It's almost time to see how they develop. Will the Los Angeles Kings play like champions? How much better are the Minnesota Wild? Can Adam Oates reignite Alex Ovechkin? What will Rick Nash look like as a Ranger in Madison Square Garden? Are the Edmonton Oilers ready for prime time or is it still too soon? Also, because the season reportedly will be about 48 games in length, a new storyline has emerged about which teams will be able to get out of the gate the fastest in what will be less of a marathon and more of a sprint. Quick starters: Like always, we should know by mid-February which teams are positioned for a Stanley Cup Playoff run and which ones need to turn it on. The difference is the first 15-20 games take on added significance in a shortened season. How telling could this be? Consider that after 24 games last season, the Minnesota Wild were tied for first in the West and the Toronto Maple Leafs were third in the East while the Los Angeles Kings were eighth in the West and the New Jersey Devils were 10th in the East. Teams that start strong don't necessarily finish that way and vice versa, but, in a short season, slow starts have the potential to cause much greater damage to playoff hopes. Kings of the League: The Kings will get to raise their Stanley Cup banner, but quickly they'll remember they won the championship seven months ago. The time for puffing out their chests and calling themselves champs is finished -- now it's about responding to being the target. They can ask the 1995 Rangers how tough that is in a lockout-shortened season. After winning the Cup in 1994, the Rangers finished the 48-game 1994-95 season an the eighth seed in the Eastern Conference and were swept out of the second round of the playoffs by Philadelphia. Ovi under Oates: Adam Oates was hired to bring offense back to the Washington Capitals, so his No. 1 priority has to be to get Alex Ovechkin going again. Oates has said he knows the pressure is on Ovechkin to score goals, so it's his job to put Ovechkin in the best position possible to do that. It's also Ovechkin's job to finish. Ovechkin averaged 53.8 goals per season from 2005-10; he's averaged 35 goals in each of the past two seasons. Look for Oates to revamp the Capitals' power play in an effort to reignite Ovechkin. Crosby Watch: He's baaaaaaaack. Well, sort of. Sidney Crosby is healthy, which means the Pittsburgh Penguins are on track to being a Stanley Cup contender. A year ago, the hockey world was wondering when Crosby would play again. Some were questioning if he would play again. He's answered the questions. Crosby is healthy -- and likely hungry, considering the bitter way last season ended. Even though he was basically the face of the NHL's injured reserve list from January 2011 through March 2012, Crosby does have 103 points in 63 games during the previous two seasons. Nash in NYC: Rick Nash has a new lease on his career in New York and should get the chance to play with the type of center he never had with the Columbus Blue Jackets. But Nash and center Brad Richards won't have much time in camp to develop chemistry, and because John Tortorella is never shy to change up his lines, they'd better act fast if they want to stay together. Regardless, Tortorella believes Nash will fit right into the Rangers' ways because he's a low-maintenance star. Detroit's dilemma: The Detroit Red Wings are going to start a season without defenseman Nicklas Lidstrom for the first time since 1990 -- and Lidstrom, a seven-time Norris Trophy winner, is not coming back. He has hung up his skates to become a scout and ambassador for the franchise. He's enjoying retirement. General manager Ken Holland and coach Mike Babcock can't replace or recreate Lidstrom, so they'll have to find ways to win without his flawless 24 minutes per game. Henrik Zetterberg reportedly will replace Lidstrom as the Red Wings' captain; replacing him on the ice will be a lot more difficult. Hossa's return: The last time the hockey world saw Marian Hossa, the Chicago Blackhawks forward was flat on the ice, knocked out by an illegal hit by the Phoenix Coyotes' Raffi Torres in Game 3 of the Western Conference Quarterfinals. That's also the last time the hockey world saw Torres, who remains suspended for the first eight games of this season. Hossa used the lockout to get healthy and told the Chicago Sun-Times he's "back to normal." He'll soon get to prove it. Luongo's saga: Roberto Luongo is still a goalie for the Vancouver Canucks. For how long remains to be seen because there are a number of possibilities in play. Provided he agrees to waive his no-trade clause, he could be moved before the season begins. He also could stay with the Canucks and get dealt at the trade deadline. Then again, he could compete for time with Cory Schneider for the entire season. He could even regain the No. 1 job. Kesler's health: Canucks center Ryan Kesler told the Vancouver Province on Sunday that there is still no timeline for his return to the ice. Kesler had offseason wrist and shoulder surgery, but his rehab is taking time and he refuses to rush it. Kesler has rushed his rehab after prior surgeries and felt he was not as effective as he would like. If Kesler isn't ready -- and it's looking that way -- the Canucks have a big hole to fill in the middle. Could prospect Jordan Schroeder be the answer? Tracking the Oilers: Edmonton's talented youth could pay dividends in a shortened season, which requires a lot of energy along with young, vibrant legs. Ryan Nugent-Hopkins, Taylor Hall, Jordan Eberle and Justin Schultz all have been playing and thriving in the American Hockey League. They have chemistry. Nugent-Hopkins was named the top forward at the World Junior Championship. Top draft pick Nail Yakupov will be joining the Oilers, who have finished 30th, 30th and 29th, respectively, in each of the past three seasons. Minnesota makeover: The clock will start on the matching 13-year contracts that free agents Zach Parise and Ryan Suter signed with the Minnesota Wild in early July. But the question is whether all the hubbub over the deals lead to excitement about playoff hockey in Minnesota? The Wild haven't made the playoffs since 2008 -- they haven't won a round since 2003 -- and they finished 12th in the Western Conference last season after a promising start. They opened the checkbooks to rectify the problem. Leaning on Bryzgalov: It was an agonizing and, at times, hilarious first season in Philadelphia for goaltender Ilya Bryzgalov. He did not live up to expectations, and he seemed to anger general manager Paul Holmgren, who famously said in May, "His job is to stop pucks and help us win. It's not Comedy Central." The Flyers, though, are going to lean on Bryzgalov. They traded Sergei Bobrovsky to Columbus, leaving Michael Leighton as the backup goalie. Bryzgalov still has eight seasons left on the contract he signed last summer. Avoiding the Blues: The St. Louis Blues' goaltending and defense basically defied logic by how good it was last season. St. Louis didn't score a lot, but behind Brian Elliott and Jaroslav Halak it seemed like the Blues won every night. St. Louis finished second in the Western Conference after challenging for the Presidents' Trophy; both coach Ken Hitchcock (Jack Adams Award) and general manager Doug Armstrong (GM of the Year Award) won at the annual NHL Awards Show in Las Vegas. The pressure is on to avoid a letdown and prove that last season was no fluke.